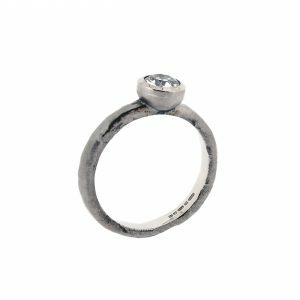 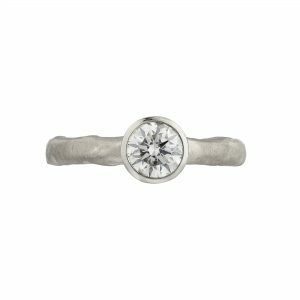 A delicate 18ct white gold Molten engagement ring rubover set with a 0.30pt round brilliant-cut white diamond in the contemporary molten style with a matt finish. 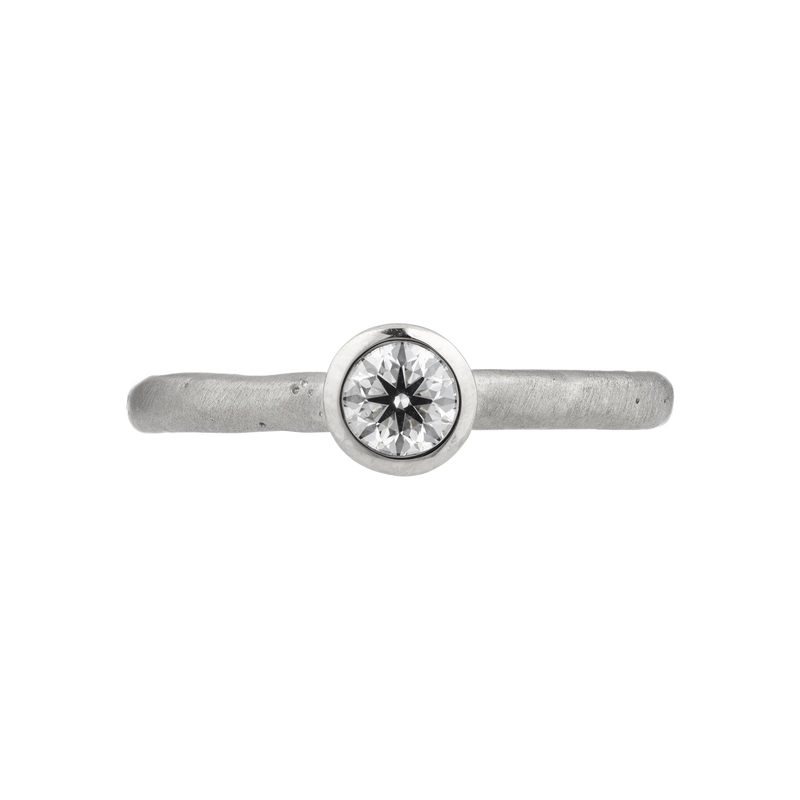 The diamond is G-H colour and SI clarity. 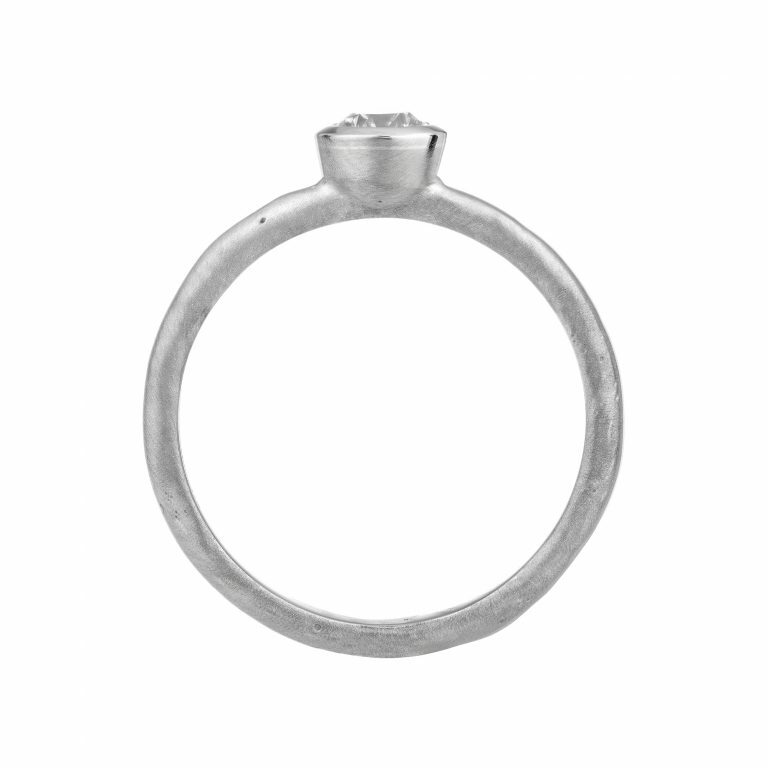 The finger size is an M.
If this ring is not in stock or you require a different size – please contact us. 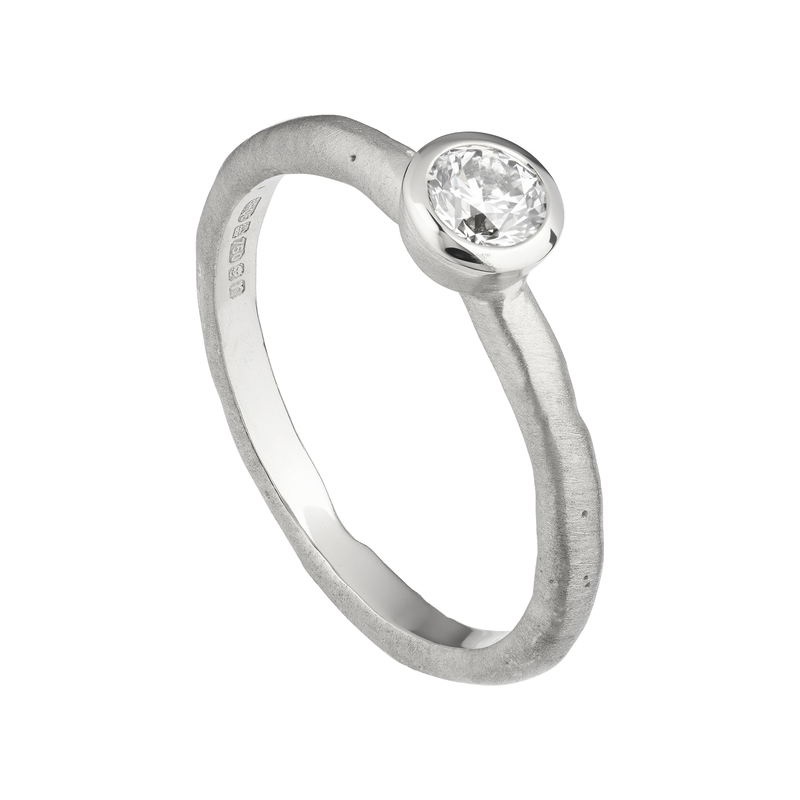 We can make this ring to order in 6 weeks or if you need a similar size we can size the ring within a week.